MEMA has partnered with Employee Voter Registration Week, an effort to shrink the number of unregistered eligible private sector voters across the country. 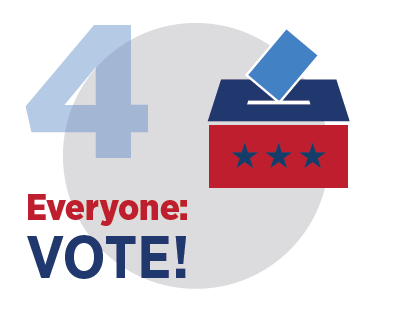 The initiative does not tell employees how to vote or who to vote for, instead it provides information to help employers encourage voter registration. During the week of September 26-30, private sector organizations unite to work toward our common goal. 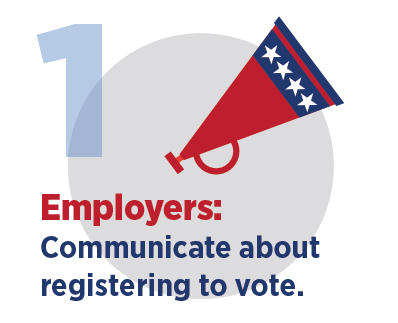 EMPLOYERS can participate by communicating with their employees about the importance of registering to vote, learning about the issues impacting their industry, researching the candidates on the ballot, and voting in this year’s election. 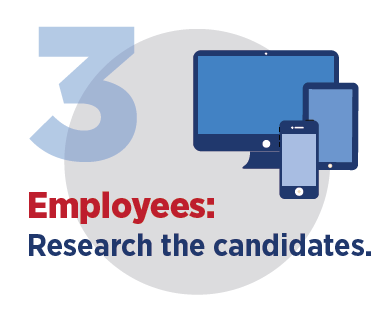 Visit the Employer Resource center on www.employeesvote.org. 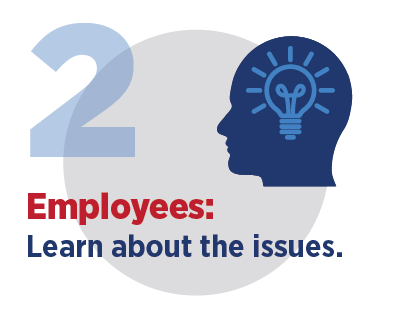 EMPLOYEES can participate by registering to vote or updating their voter registration information by visiting www.employeesvote.org. Once there, they can learn more about your state’s voting deadlines, candidates, and then ask their friends and family to do the same.